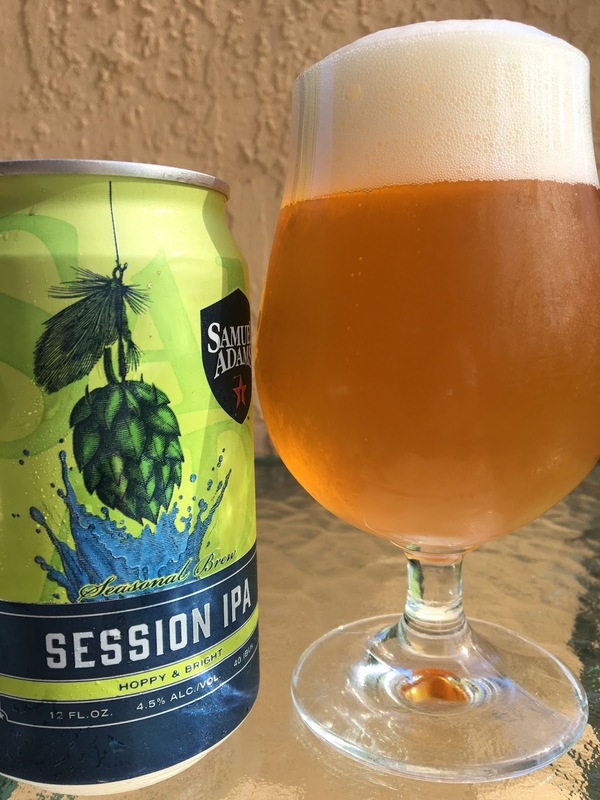 Today I'm checking out Samuel Adams Seasonal Session IPA. You know these guys are canning beers now right? 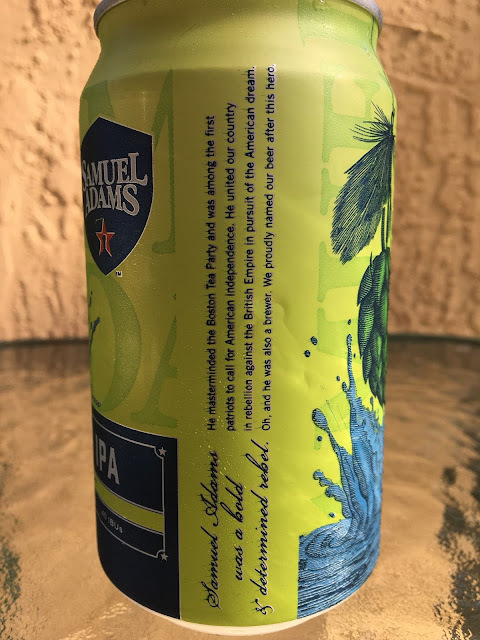 There's a story about Samuel Adams, mastermind of the Boston Tea Party and brewer, on the side of the can. 4.5% alcohol. 40 IBU. Best By Sep 2017. Fruity, hoppy aroma with some lemon. Flavors are softly hoppy, lemony with some bitterness. Light apple fruitiness and a little herbal action like Sam Adams always has. Not sharp or bright and more than a little boring. This is the Sam Adams tame version of a great session IPA. Not bad but NO ALL DAY IPA or GO TO IPA! All that being said, my wife thought it was great, and my guess is she's more the target of this beer. I guess restraint is key to winning! So nice job with that Sammy! Check it out!